Connect and network with your global peers in the quiet intimate environment of Tucson, Arizona. 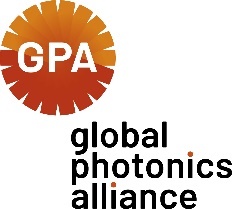 Learn about the amazing technology from Optics Valley companies, the University of Arizona BIO5 Institute, and that from our Global Photonics Alliance attendees. Discuss global optics and photonics issues with your peer and leaders in the industry. REGISTER NOW! Please indicate whether you’ll be attending the Welcome Reception on Wednesday, January 30th. The Science of Light is the basis of revolutionary solutions in advanced manufacturing applications as diverse as aerospace, automotive, medical, energy, and information technology. In the state of Arizona, Optics Valley is the place where the interests of all these fields converge. 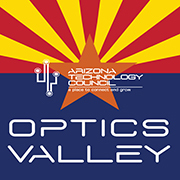 Optics Valley continues in the tradition of the Arizona Optics Industry Association (AIOA), founded in 1992. With more than 70 members, we are growing into a leading industry cluster, offering members a wide range of benefits. 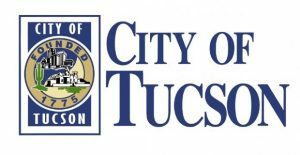 Optics Valley is a committee of of the Arizona Technology Council (AZTC) and enjoys close working relationships with the Arizona Commerce Authority (ACA), and the University of Arizona. Optics Valley proudly maintains worldwide strategic collaborations and key partnerships, including SPIE, OSA, APOMA and NPI, as well as national and international photonics clusters. We provide cutting‐edge professional development, strategic business networking, workforce development and broad support for our members to thrive and lead in global markets. Create bridges between all optics and photonics clusters to address common matters and facilitate communication and business between their members around the world. The BIO5 Institute at the University of Arizona (UA) was launched in 2001 with financial support generated by the Technology and Research Initiative Fund (TRIF), a special investment in higher education made possible by the passage of Proposition 301 by Arizona voters in November 2000. This tax was intended to expand major efforts in biomedicine and biotechnology in the state. Funding for the Thomas W. Keating Bioresearch Building that houses BIO5 was generated primarily through Arizona House Bill 2529 and from a private philanthropic gift from Thomas W. Keating. BIO5 aims to harness the collaborative power of our five core disciplines – Agriculture, Engineering, Medicine, Pharmacy, and Science – to find bold solutions to complex, biology-based challenges affecting humanity: How do we prevent, treat, and cure diseases? How do we address the many environmental issues we face? How do we feed a hungry planet?